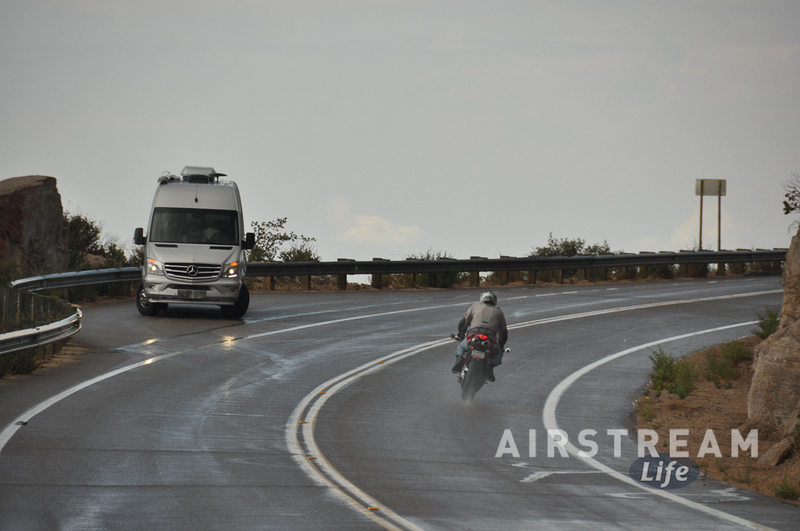 I left off in the last blog about halfway through my 10 day trip in the Airstream Interstate. … and then, silence. 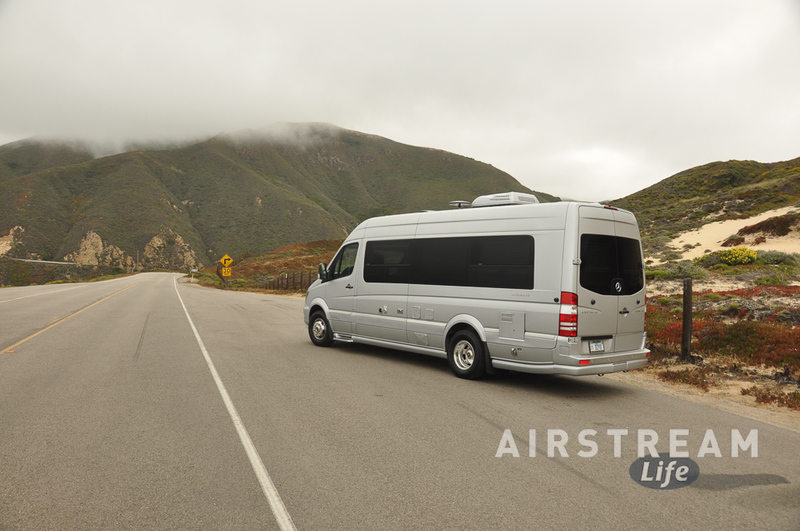 That’s because I got back from the trip and immediately launched into a couple projects atop my day job of being the Airstream Life magazine Editor & Publisher, not the least of which was to write a guidebook about the Airstream Interstate. Writing a guidebook is not really such a bad job, unless you, for reasons that cannot be fully explained here, have a deadline to complete the entire thing in three weeks. Then it’s an exercise to see how long you can stand to (in the words of Hunter S Thompson) work like a sleepless ferret, and still produce readable prose. Not only readable, but accurate. These days, in the era of e-books, anyone can be a publisher, and sadly there are a lot of guidebooks available now that lack reliability and comprehensiveness. So I spent the last three weeks gorging on information and attempting to become expert on the intricacies of the Interstate motorhome, while typing out pages as quickly as I could. So my blog stories of the Interstate trip suffered, but the good news is that I finished the first draft of the book last night. It’s off to my illustrator, and then I’ll run it past a few folks at Airstream and Airstream dealerships for fact-checking. With luck, the ebook can be out in September. It will probably run about 80 pages long in the final version. I’m just glad it’s off my desk and out of my head, so I can think like a normal person for a while. I owe you a conclusion to the blog series I started. After I finished coastal Route 1 I headed up to spent a couple of nights in friendly driveways in the Silicon Valley area. I have a few friends up there, and one of them had a nice long fenced-in driveway in Los Altos that was just perfect. After that I took the inland (101) route back to the Murphy Auto Museum Oxnard and spent the Fourth of July having dinner in Malibu with a friend. I’ve never been to Malibu before, but now that I’ve had a chance to see some of the spectacle there (lots of elaborate parties going on, and the people-watching was fantastic) it’s possible we’ll make another visit as a family someday. On Saturday the fifth I took the Airstream down the coast to San Pedro (where the cruise ships depart Los Angeles) to meet some other folks. I got there a little early, so I found a spot in a Home Depot parking lot where a Mexican food truck was making quesadillas, and had a casual lunch in the Interstate under the shade of some trees. At this point I was feeling completely at ease with the motorhome; we were a team of urban explorers willing to go anywhere. – Was there anyplace that it was too big to park? Well, yes, you can’t fit a 25-foot motorhome just anywhere. Some friends I wanted to visit in Sunnyvale CA had a driveway that was less than 25 feet long, and HOA rules about “oversized vehicles” being parked overnight on the street, so I stayed in Los Altos and they picked me up. But in Veterans Memorial Park in Monterey CA, there was a rule supposedly prohibiting vehicles over 23 feet or so. Half a dozen white box “Cruise America” rental motorhomes were camped there, all much longer than the limit, so I found a campsite that fit the Interstate and spent a peaceful night. Otherwise, I took it just about everywhere I wanted. 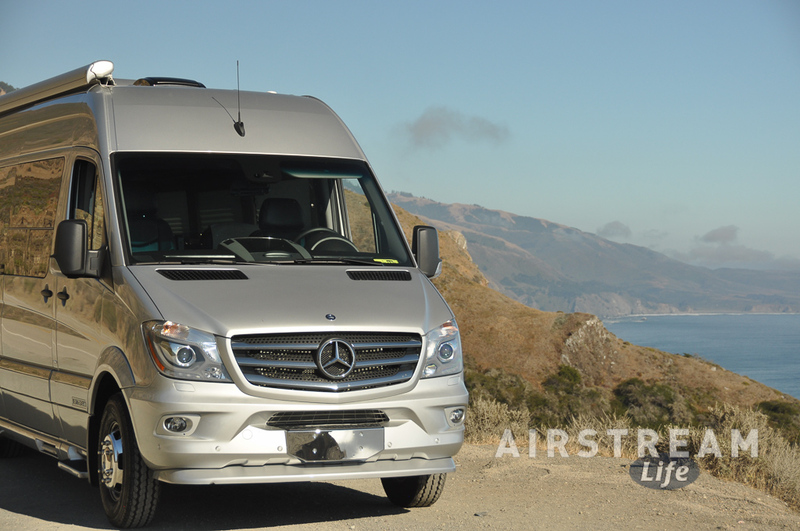 – Was it a hassle to pack-everything-up when you wanted to take day trips from the campsite? Not for me, but then I was traveling light & solo. You can’t really spread out a lot in a B-van, so getting ready to break camp was mostly a matter of doing the dishes and tossing a few things into cabinets. I was usually ready to go in less than 10 minutes. Your mileage may vary. The portability of the machine was its best feature, at least to a guy who has spent the last nine years in a rig 53 feet long. I took every opportunity to park it in places I’d never go with our 30-foot trailer, including parallel-parking on the street in Santa Barbara, pull-outs along California Route 1 and Tucson’s Catalina Highway (pictured below), grocery store parking lots, and undersized campsites. After finishing business in Los Angeles, it was time to head toward home. My conundrum was where to stay. All week I’d been wrestling with this: toward the coast it was pleasantly cool but the holiday travelers had everything booked up in advance, while inland I’d find plenty of uncrowded places to stay–all of which would be scorching hot. So leaving Los Angeles was bittersweet. I finally opted for heat, but with a compromise. North of Palm Springs is the Morongo Casino, which offers free overnight RV parking. Being a little higher in altitude and not quite as far into the Coachella Valley it was not terribly hot (by my standards) which meant a night around 80 degrees. It wasn’t practical to run the generator all night for air conditioning, so I just lived with it. I spent one night at home in Tucson, then took a day to drive up to the peak of the Santa Catalina Mountains to get caught in a thunderstorm, then drove the Interstate to a meeting in town (again no trouble parking) and finally spent the night in Casa Grande AZ before dropping the motorhome off in Scottsdale in the morning. Total: 1,600 miles of driving in ten days. I’d do it again in a heartbeat. This was a fun trip. People who drive these things really have an interesting range of opportunities available to them. Obviously you give up a lot in terms of space, but on the other hand you get a lot of flexibility. In fact, I’m hoping to get another shot at it later. Airstream is bringing out a new B-van in September, to be called “Grand Tour,” and it is supposed to be more camper-ish (less seating, more space for living). I want to get my hands on it. That’s going to be difficult for a while, since production will probably be limited and I expect demand to be high. Now that the Interstate trip is over, and the book is mostly done, what’s next? Tomorrow I fly back to Vermont to be reunited with my family, and in a week or so we’ll start the next adventure, our 3,000 mile trip back to Arizona, via Ontario. Traveling in the Airstream Interstate turned out to be a good TBM* adventure. I recommend it. As a solo travel vehicle, it’s pretty roomy. I didn’t need all the nine seating positions, but during the course of the trip I managed to try all of them out anyway. In the evening I could watch a movie on the Blu-Ray player from one of the seats in the second row, or from the bedroom/rear couch in the back. Sometimes I’d swivel the front passenger seat around and use it as my workstation with the dining table. Other times, like when I was parked at the beach, I’d put my feet up on one seat in the back (don’t tell Airstream I did this with their loaner) while sitting on the opposite seat, to read a book. When the bed was set up, I had the equivalent of a King all to myself. 1. Learn how the Interstate works, for a book I’m working on. 2. Gather information and photos for an article for The Star, the Mercedes-Benz Club of America (which will appear in the Sept/Oct issue). 3. 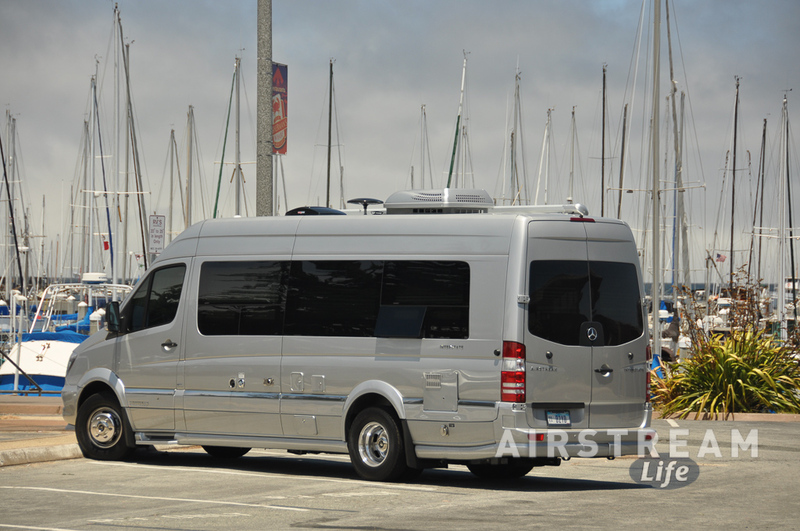 Build up a stock photo library for future Airstream Life articles. 4. Cover a lot of miles to get plenty of driving experience. But driving around aimlessly is no fun, so I set a goal to get up to the Silicon Valley area to see some friends, taking the scenic coastal Route 1 highway to get there. This turned out to be a great decision. The last time we did that highway was with the 30-foot Safari in tow, and it was one of the most memorable drives we’ve ever done. With a 25-foot motorhome, it was even easier. 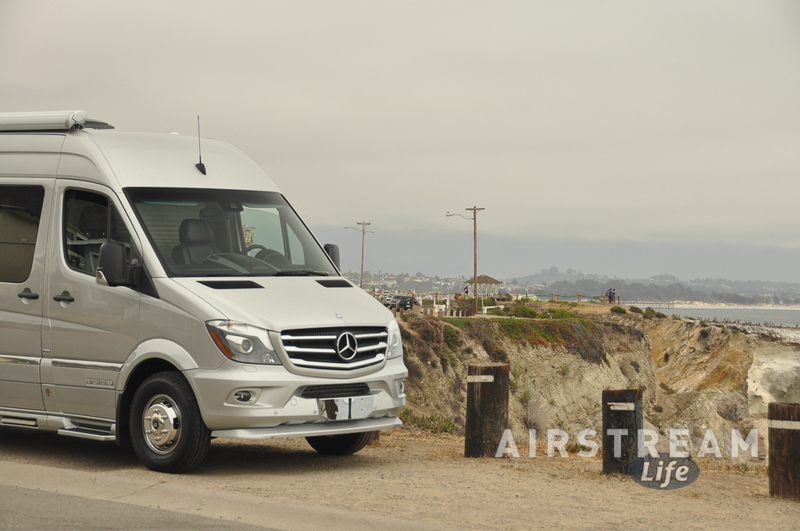 Grant me a moment for a minor car review here: The Mercedes Sprinter is an awesome basis for a motorhome. Considering its bulk, it handles remarkably well, accelerates and brakes well, gets good fuel economy (on diesel), and is really easy to drive. Anyone with decent driving skills would have no trouble taking it on a curvy, hilly, occasionally intimidating road like California Route 1. And I really liked the fact that I could pull over in any of the small dirt spaces alongside the highway to stop and take pictures. So I did that a lot. The weather along this road is pretty changeable, thanks to fog banks that reside just offshore. When the fog was away, it was generally about 80 degrees. When the fog crept in, suddenly it would be as low as 55 degrees. I liked that. In one day I got dozens of shots for my photo library, with radically different scenery. In Monterey I found a public parking lot with dedicated RV spaces for “RVs up to 25 feet”. Well guess what, mine was 25 feet, so I plunked myself down next to the harbor for a day just to listen to the water sounds while catching up on some work. 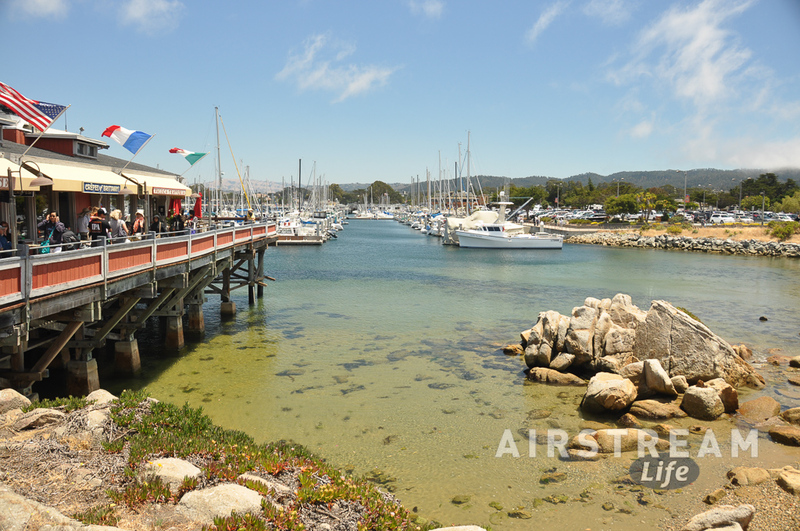 Monterey even provided free public wifi, and a short walk away at Fisherman’s Wharf I was able to get a nice salmon sandwich for lunch and listen to the sea lions bellowing for a while. If they hadn’t had a “no overnight sleeping” ordinance I probably would have never left. This was where the size of the Interstate really worked for me. Not only was it easy to navigate downtown Monterey, but I was able to squeeze into a little city park at the top of a hill for the night. The park is too small for most travel trailers and it didn’t take reservations, so by just showing up I actually scored a nice campsite for a night despite the masses of holiday campers elsewhere. The next day I didn’t have as much luck. I made sure to dump and fill before leaving the campground because I knew I might not get another campground for a while. 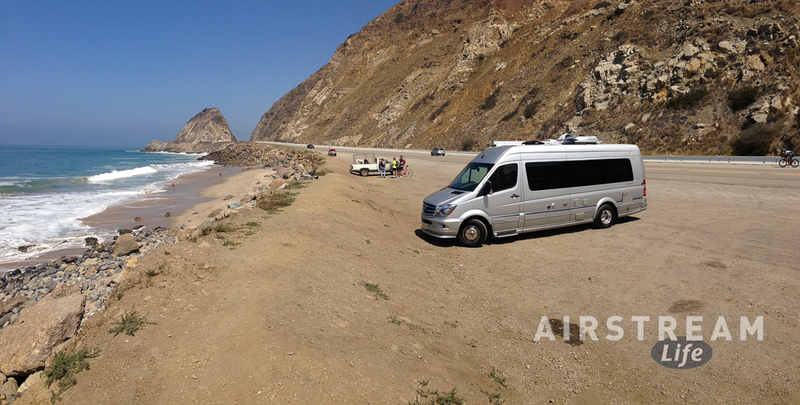 Sure enough, I finished the coastal drive as far as Big Sur, but every campground along the route was full. Eventually I ended up at Julia Pfeiffer Burns State Park, which also had a “CAMPGROUND FULL” sign. From prior experience I knew that despite the sign it pays to ask, and sure enough they had an overflow area where I was allowed to stay for the night. It wasn’t a deal, since I had to pay the same rate as a campsite ($35) for what amounted to a parking space in a neglect asphalt lot, but given that it was July 1 in Big Sur, it was lucky to get anything at all.